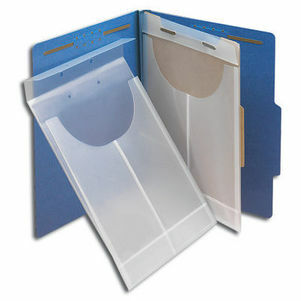 Our poly retention pockets allow you to add documents to fastener folders without punching them. These handy pockets are adjustable to fit either letter or legal size folders. The front of each pocket is die cut for easy access, and the clear stock aids in viewing the contents. Each pocket expands to 3/4". Click here to view our paper stock retention pockets.